Dark Horse Comics presents the latest volume of Star Wars: A Long Time Ago… featuring classic Star Wars stories not seen in over twenty years! 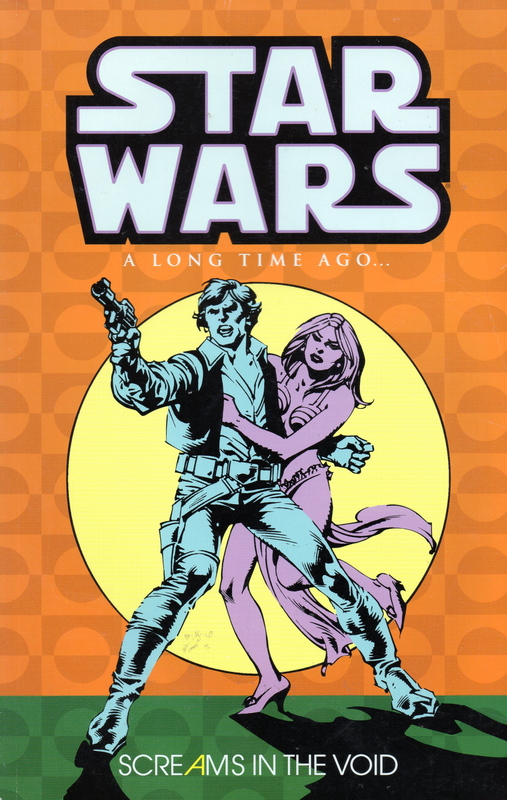 Originally printed by Marvel Comics, these stories have been re-colored and are sure to please both new and old Star Wars fans. Screams in the Void collects issues 54 to 67 of the original Marvel run, along with Star Wars Annual #2. These stories take place after The Empire Strikes Back, as Han Solo’s friends continue to search for their lost scoundrel – and Lando Calrissian joins Luke, Leia, Chewie, and the droids on their continuing, galaxy-spanning adventures. Also highlighted are several tales focusing on Luke Skywalker and such classics as „Coffin in the Clouds,“ „The Mind Spider,“ and „Serphidian Eyes.“ Introduction by Geoff Johns!